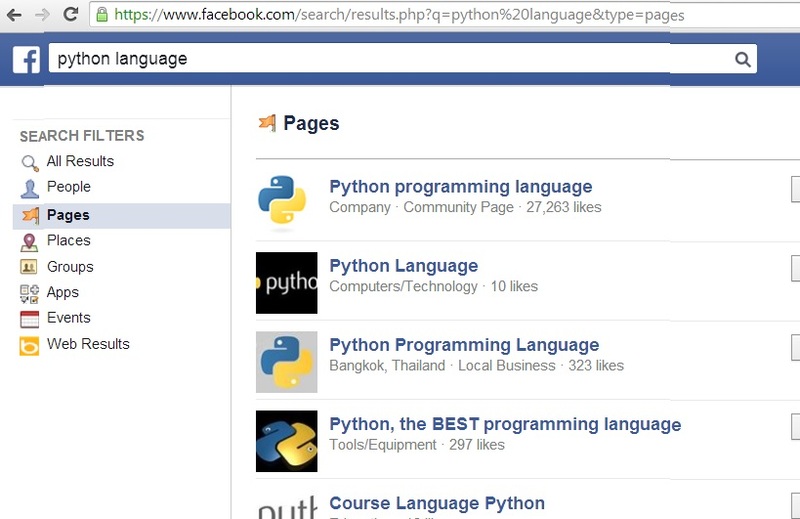 The Facebook Graph Search is now available to all English-speaking users of Facebook. The rest of the users can experience the Graph Search by changing the language to English in the settings. will work no matter what language you use and will search for the given keywords (that you can change, of course) across all the object types: people, places, groups, etc. To search within groups, add &type=groups to the URL or select “Groups” from the choices on the left. 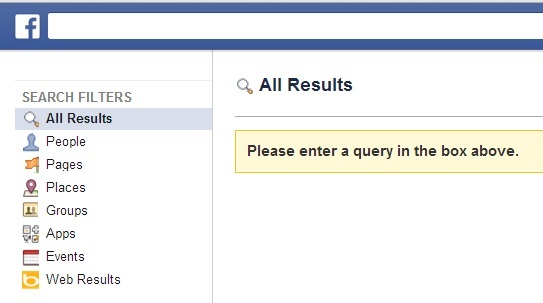 I recently wrote about the Boolean OR search on Facebook. 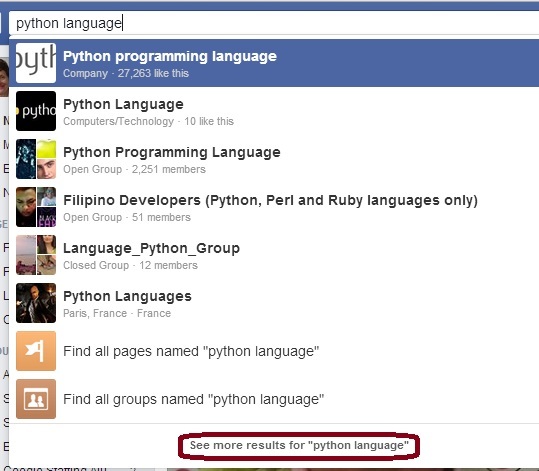 Well, these searches are Boolean AND searches for the keywords: python AND language; security AND certification. 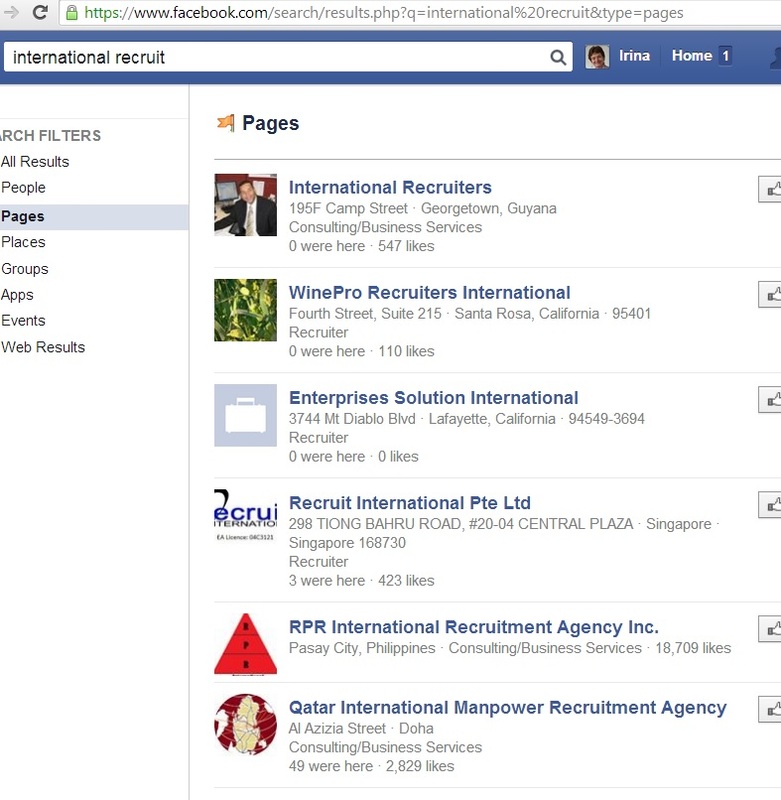 Compared to the Graph search, when used to search for groups, pages, etc. 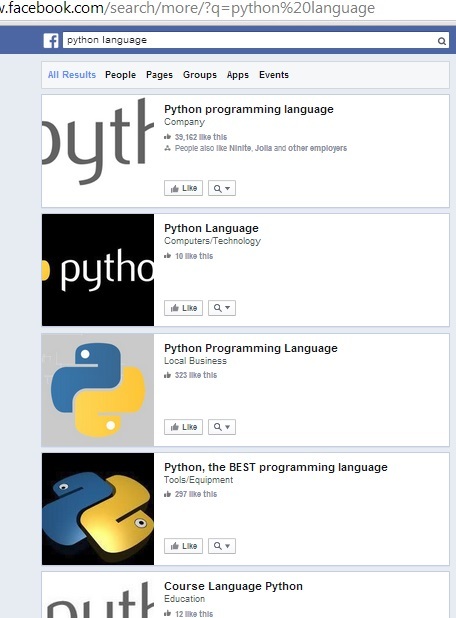 by name, the pre-Graph search has some advantages. 2. Interesting! This search has a capacity that is somewhat like Google’s auto-stemming (and even synonym searching in some cases). You can stop at a partial (key)word, and Facebook will be bringing in variations of the word. As an example, a search for security certif will find pages with certified and certifications. 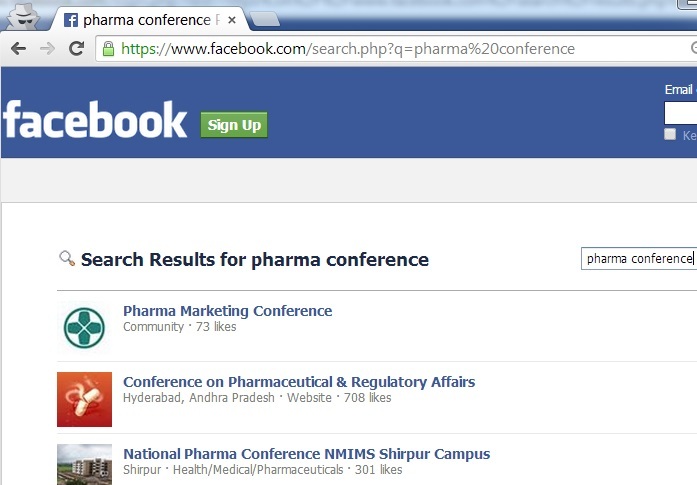 To conclude, the pre-graph search is NOT as dead as Facebook says and can be put to some good use. Bookmark it. P.S. To learn lots more about Facebook Graph and non-Graph search, Twitter search syntax and X-Raying, Social Lookup Tools (and more) applied to Sourcing, and get one month of support in your sourcing practice, check out Facebook and Twitter for Sourcing – Fri May 21 at 9 AM (repeat of the May 9 webinar). Great blog post, Irina. I was just having a conversation the other day about how many kids (listen to me!) out of school these days can’t do boolean searches anymore. It’s a must-have skill for anyone who needs to do web-based queries as part of their job!